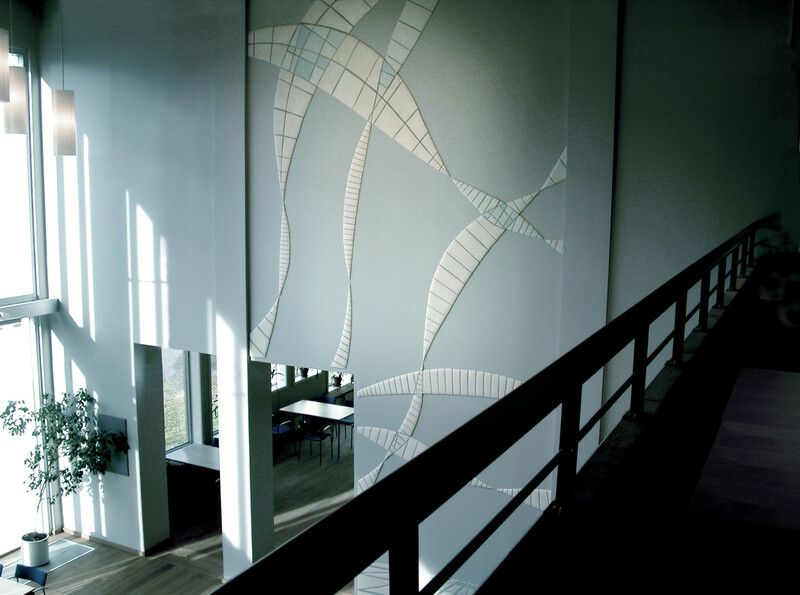 Art work for the library at Luleå High School. Commissioned by the municipal of Luleå, Sweden / 2004. Handmade ceramic tiles. Hight 7 meters. 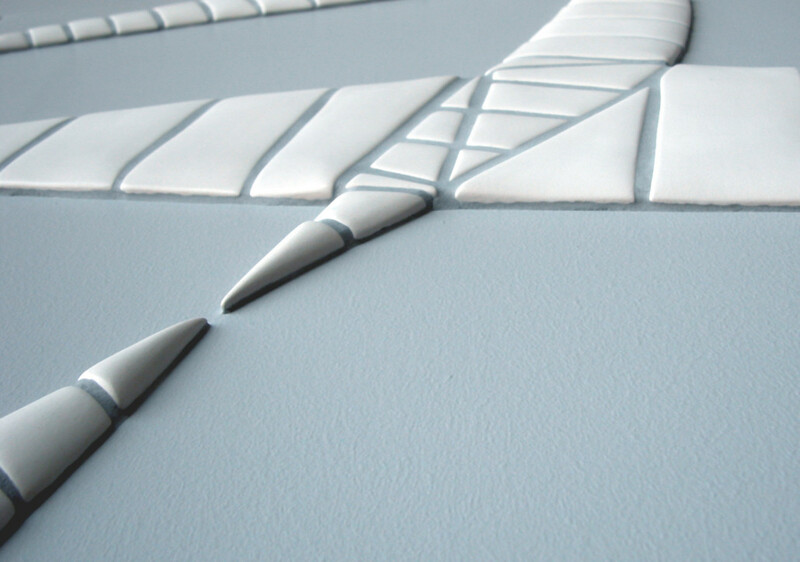 Expansion is a system of four square meters ceramic tiles which expands over a 25 square meters wall. The idea for this art work has its roots in fixed systems. Straight and simple boxes may mark Library’s essential systems for storing facts and litterature. This is visualized in the lower part of the wall with squares in bright perspective and a tipped horizon. The lower left corner grows up to the top of blossom in curves, a kind of cyberspace – a world where the future all possibilities await. One can also see the lower part of the art work as a sea level / horizon that blossoms into upward winds in the upper portion. A natural connection to Lulea as a place which to me symbolizes the sea, wind, motion, and expansion.